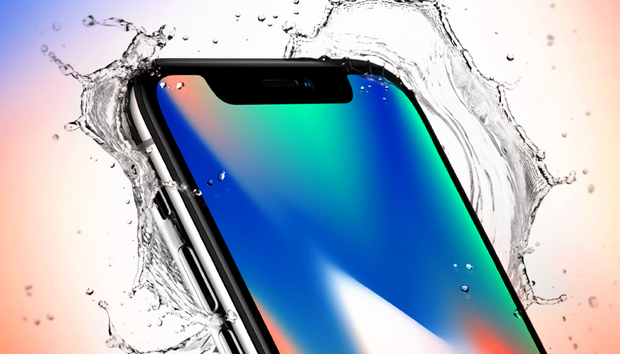 It’s time: The iPhone X pre-order begins this Friday, October 27 at 12:01 a.m. Pacific/3:01 a.m. Eastern. With an edge-to-edge OLED display, front-facing camera with brand new Face ID technology, and wireless charging, this is arguably Apple’s most groundbreaking iPhone in years. We’ve had a couple of months to drink in the details since it was announced back in September, and now it’s time to get your own. Apple’s online store may seem like the most obvious choice, but you can also get it from the Apple Store app for iOS with Apple Pay, which has worked very smoothly for us in the past—in fact, it’s often even more efficient. Besides Apple, the four major cell carriers are also eager to help their customers upgrade or switch to a brand-new iPhone—especially if it means renewing a contract, extending an installment plan, or signing up new customers. Speaking of installment plans, the process will be a little different for those of you participating in Apple’s iPhone Upgrade Plan, which we’ll cover below. Read on for more iPhone X buying info. Looking for details on the iPhone 8 or 8 Plus? They’ve been on sale since the end of September—head on down to your local Apple store or pick one up online, and check out our full iPhone 8 review for more info. Pre-order the iPhone X: How much does it cost? The iPhone X comes in two models and starts at $699. If you want AppleCare+, that will set you back an additional $199—which is a price increase compared to the iPhone 8, 8 Plus, and all older models. The iPhone X comes in silver and space gray. The easiest way to pre-order is through the Apple store online or via the Apple Store app. The store typically goes down a few hours before the pre-order period starts—which is just past the stroke of midnight on Friday, October 27 (12:01 a.m. Pacific/3:01 a.m. Eastern). Once it comes back up, select your preferred color, capacity, and carrier, and keep your fingers crossed for a quick ship time. To make checkout even speedier on Friday, consider selecting a “favorite” iPhone ahead of time. Go to the online Apple store’s iPhone X shopping page; select your carrier, finish, and capacity; select your payment plan (either via monthly payments through your carrier or the iPhone Upgrade Program, or in full up front); and then add AppleCare+ (if you want it!). Once you’ve gone through all of these steps, you have the option to “favorite” this device setup—just select the little heart icon next to the device availability button (or tap the heart in the upper left corner if you’re using the Apple Store app on your iPhone). Come Friday, log back in to the Apple store online, go over to your shopping cart (the bag icon in the top right corner), and click on Favorites to select that model for checkout. In the Apple Store app, tap Account, then My Favorites. You might want mark a backup favorite as well, just in case your first choice has too long of a ship date. Another thing to do ahead of Friday: check your account status with your carrier to make sure you don’t run into any unexpected problems. If your carrier is AT&T, Sprint, or Verizon, you can check your upgrade eligibility directly on Apple’s website. You can also enroll in the iPhone Upgrade Program online. If you’re a T-Mobile customer, you’ll have to pay in full to place an order through Apple, and check your account status with T-Mobile ahead of time. If you want to participate in the iPhone Upgrade Program, T-Mobile customers will have to go to an Apple retail store (sorry, Apple Town Square) in person. Note: For the initial batch of pre-orders, Apple isn’t selling any SIM-free unlocked phones—you have to select one of the four main carriers. The cost of the iPhone Upgrade Program includes AppleCare+, which would be an additional charge of $199 if you were to pay for the phone in full up front. If you’re already part of the iPhone Upgrade Program, Apple suggests that you get pre-approved for your loan ahead of time if you want to buy an iPhone X during the pre-sale period—the iPhone X pre-approval window ends on Thursday, October 26 at 4:00 p.m. Pacific. Curiously, the only way to get pre-approved is to use the Apple Store app on your iPhone. Launch the app, and look for the “Get a head start on your upgrade” banner at the top of the Discover page. From there, the app will walk you through the pre-approval process, which involves selecting your preferred iPhone, confirming your carrier, and providing your Social Security number and date of birth for a credit check. Once approved, you’ll have three days to complete your purchase after the pre-order begins—otherwise, you’ll have to get pre-approved again. For more info, see our iPhone Upgrade Program FAQ. If you’re an AT&T customer (or would like to become one), you can also pre-order your new iPhone X on AT&T’s website, where you can check your upgrade eligibility and select one of their Next plans. AT&T Next lets you get a new iPhone 8 for $0 down as long as you make monthly payments, starting at $33.34 per month spread out over 30 months (with a 24-month option available). You can upgrade to a new iPhone once 80 percent of the iPhone’s sales price is paid off (or sooner with a down payment). The 24-month option is called AT&T Next Every Year, which has larger monthly payments (starting at $41.63 per month) but you can upgrade after a year—or once you’ve paid off half of the price of your device—hence the name. Verizon also offers an online pre-order. This year, if you trade in a phone (Verizon’s taking phones as old as the iPhone 5), you can save up to $300 off of your iPhone 8. Your trade-in device must be in good working and cosmetic condition, of course. Verizon is also offering the option to pay for the phone in full or through a 24-month installment plan, which starts at $41.66 per month. Sprint’s pre-order option may be offering some of the lowest prices around. New and current Sprint customers can get the iPhone X starting at $22.22 per month if you bring in an eligible device to trade in with Sprint Flex. For iPhone users, that means an iPhone 6/6 Plus, iPhone 6s/6s Plus, iPhone 7/7 Plus, or an iPhone 8/8 Plus. This could be a savings of up to $350. All monthly payment-based iPhone plans come with Sprint’s iPhone Forever program, which lets you trade in your phone every 12 months. Sprint’s iPhone Forever program is technically a 22-month lease. T-Mobile customers will likely find it easiest to buy an iPhone X directly from the carrier, as it’s the only way to get access to a standard installment plan for payment. If you have an iPhone 6 or newer (minus the iPhone SE) to trade in, T-Mobile will knock $300 off the price of the iPhone X via 24 monthly bill credits. To get this deal, you’ll have to sign up for one of T-Mobile’s two installment plans: The Equipment Installment Plan, which asks for a down payment and then monthly payments for 24 months; and Jump! On Demand, which is T-Mobile’s leasing option that lets you switch to a new phone every year. For current T-Mobile customers on the Equipment Installment Plan, you have to pay off the remaining balance on your existing device before adding the iPhone X to your line.